Crowdfunded on Kickstarter last year, Lofelt‘s wrist-mountable subwoofer is shipping to its backers as we speak. Basslet will be available to order on February 7 for $199. I tried it out at CES and am eager to share some first impressions. So, uh, what is that thing? Basslet markets itself as a wearable subwoofer. You plug a transmitter into the headphone socket on your phone, computer, or… well, anything that has a headphone socket. The subwoofer part goes on your wrist, and that’s all you need to do. Play some music, and the Basslet gently vibrates along with low-frequency sounds in your favorite tunes. No, not that low frequency. The device is simply but exquisitely designed, as if the designer decided that “understated” should be an olympic sport. 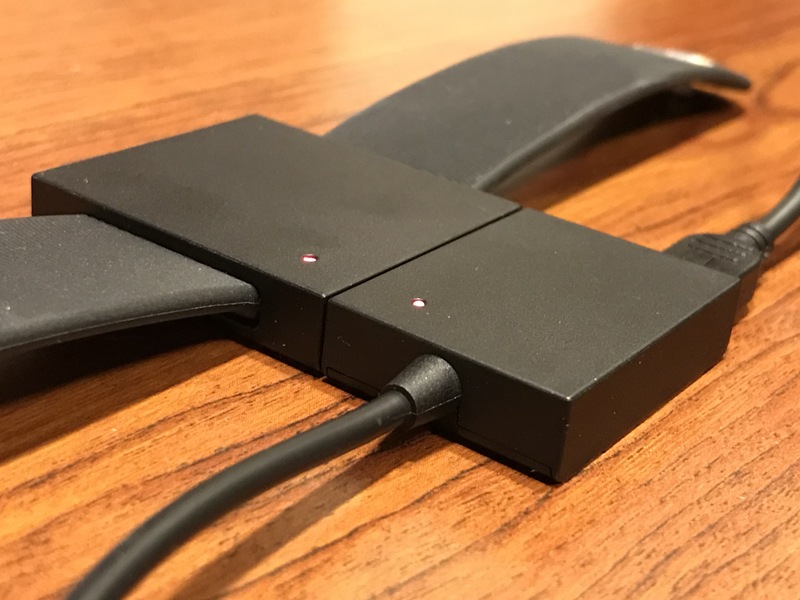 I particularly want to highlight the charging solution: You plug an USB power cord into the transmitter, then magnetically connect the Basslet itself to the transmitter. Both are charged at the same time; Simple and elegant. The company claims that the device will work for about six hours on a charge. 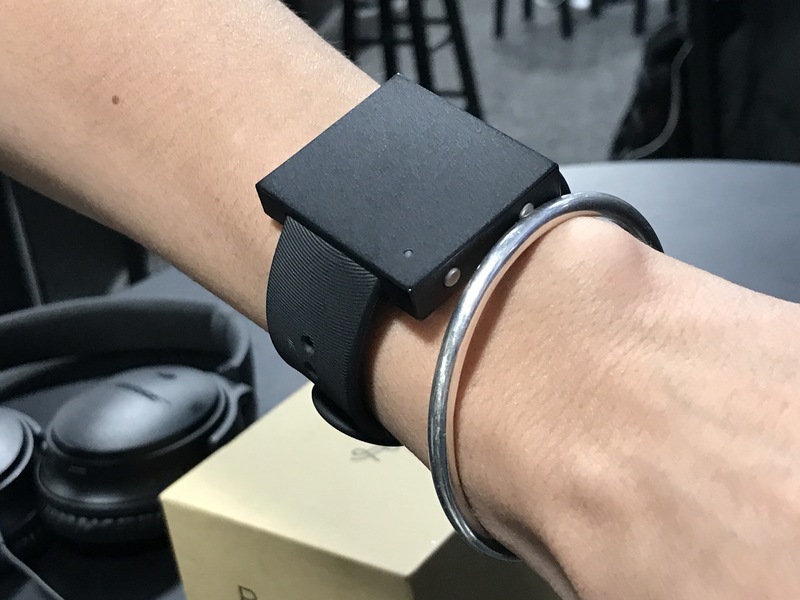 The magnetic charging connectors on the wrist-mounted part of the Basslet double as volume buttons — or intensity, as the company calls it. Expect a lot of “hey, what’s that”. Is it any good? Well, that depends on your expectations. When I hear the word subwoofer, my mind goes to the 55 lbs monster I have at home that makes the bass-line of my favorite music vibrate the glasses off my coffee table and that make the neighbors worry that Russia is attacking with nukes whenever I watch an explosion-type-film. Let’s be clear: The Basslet isn’t that. I’m used to the sensation of feeling bass in my chest, which obviously cannot be recreated with a matchbox-sized piece of plastic that’s merrily buzzing away on your wrist. Immediately, I was skeptical – what’s the point? But after listening to a few songs, and following the company’s advice to not think about the device, it started winning me over. Especially, oddly enough, if you’re holding your phone in the same hand as you’re wearing the Basslet. Of course, your phone is never going to put out a loud thumpin’ bass line, but the Basslet does augment the listening experience. It’s hard to fully elucidate exactly what Basslet does to music. I wonder whether perhaps marketing the product as a subwoofer does it a disservice; it’s hard to square people’s expectations of what a subwoofer does with the feeling a Basslet gives. It’s not unpleasant, and it definitely is a completely new way of experiencing your favorite songs. I heard things in songs I’ve been listening to for years that I had never noticed before, which is weird and wonderful in equal measure. I’m looking forward to experimenting with it more and exploring more music this way. 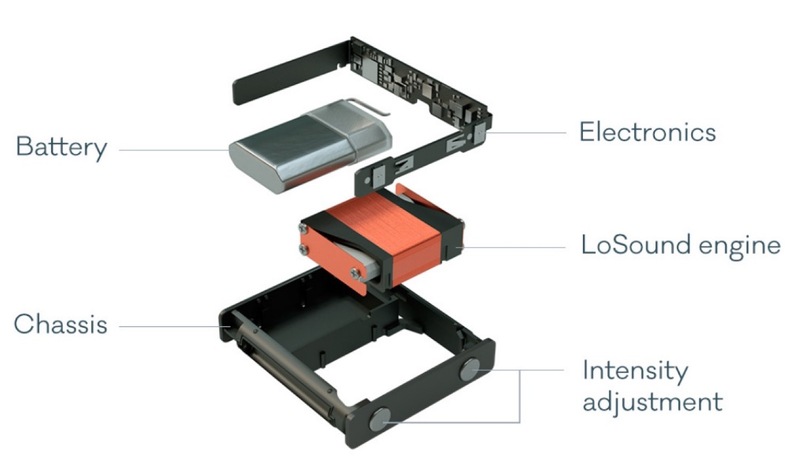 Having experienced the Basslet, I’m wondering whether it would be possible to use Apple’s haptic engine introduced in the iPhone 7 in much the same way. It probably wouldn’t be as immersive as having the device on your wrist, but I imagine it would be an interesting way to augment and enhance musical experiences via an app. Either way, don’t pass up the opportunity to try out Basslet. It’s an oddly discombobulating experience well worth having.